There is no doubt that the internet has changed as we know it today.The days of boring, stale, static content websites are over. 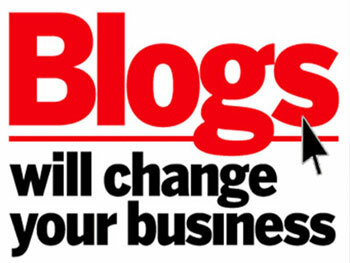 Websites with blogs have become a source of fresh and interesting content for internet users across the world. The “blogosphere” is constantly evolving and changing thanks to this seemingly unending stream of interesting information published by regular people like you. The great thing about the information boom is that anyone can contribute to it. You can start blogging and get your word out there today with a great website and blog platform based on a proven open source system. You’re probably thinking: “if all these huge companies use this system, it’s probably too complicated for a beginner like me”. That is just absolutely wrong! The blogging part of your website is very simple and designed so that anyone can use it. The reason why such large companies and small-time bloggers alike use it is the simplicity, flexibility, and ease of use. An easy to use blogging platform. Write in a WYSIWYG editor, save drafts, and publish when you’re ready. Generate “SEO-friendly” permalinks with the click of a button. Categorize and tag your blog posts. Automatic pinging to the top blog ping services. With the thousands upon thousands of other blogs running the same system for their websites, it’s popularity is undeniable. So call us today on +61 430 584 143 or contact us to talk about your website needs.